As seen on Disney XD, a hilarious graphic novel perfect for fans of Captain Underpants! Eastwood Elementary has a new student, and he's nothing like the other kids in 3G. 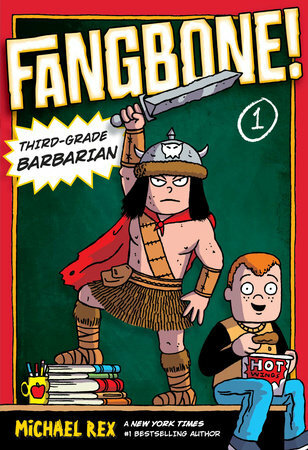 Fangbone is a barbarian warrior from another world! And he's been charged with the task of keeping a deadly weapon from Skullbania's vilest villain, Venomous Drool. Can Fangbone's new classmates team up to help him triumph over hound-snakes, lava-ferrets, and his first pop quiz?